Take notes on the Google doc to collect details from the story that help you to analyze the short story. Read the short story and annotate it looking for the assigned, critical approach.. Compare your annotations with others. Take notes on the live Google doc for your class. 1. 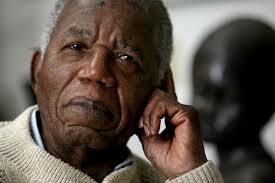 What did Achebe accomplish with his short story? What is his message? 2. What did you notice about the story after applying the critical approaches that you did not during the first reading? 3. Which of the critical approaches feel the most natural to you? Why? 4. Now answer the attached questions on the short story for homework--due . . .